Jao Nang is an Asian elephant that comes from the Province of Tak, west of Thailand. She has hard a difficaltlife, with her owner mistreating her to make her a domestic animal. Once trained to that she can be controlled, usually beaten with a bull hook, she was placed in the logging trade, moving and carry heavy teak trees to the river, every day for 25 years. 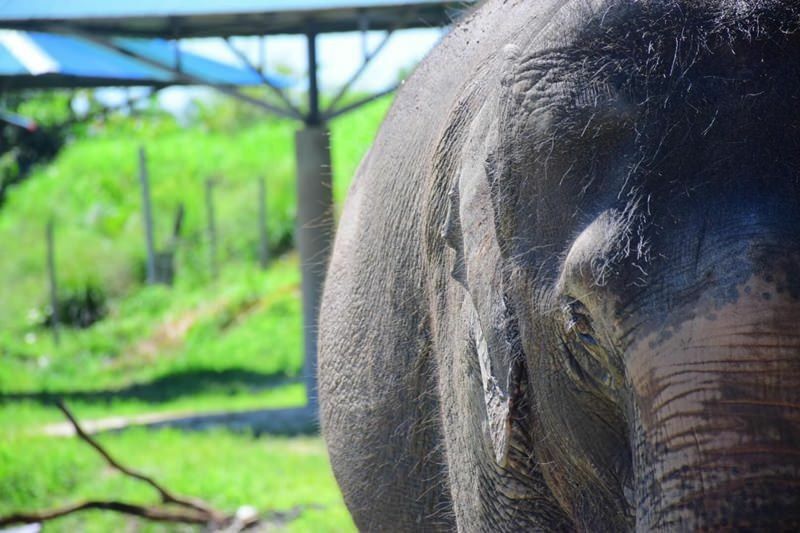 We made the discussion, to then rescue her and bring to the Elephant Retirement Park.Once she arrived at the park,We are happy to say that she has settled in with the family at the elephant retirement park and is becoming a favorite with staff and visitors of the park.